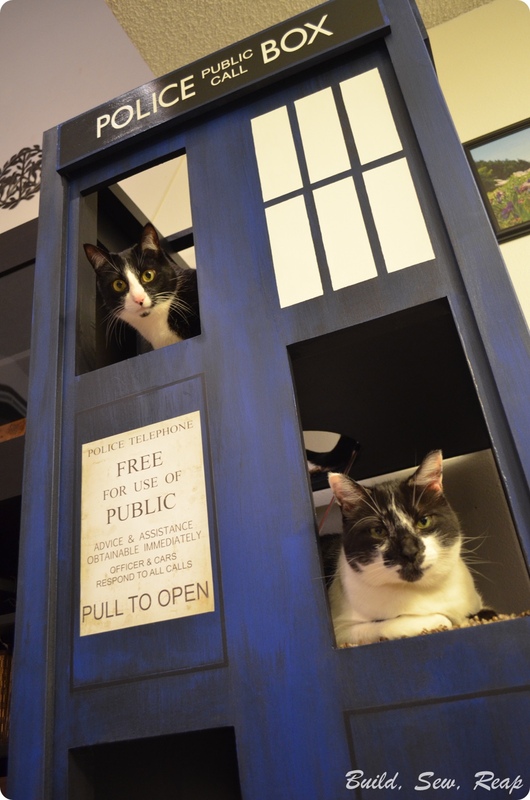 The couple that fostered our kittens before we adopted them loves Dr. Who. In fact, one of our kittens is named Amelia because we decided to keep what they had named her. 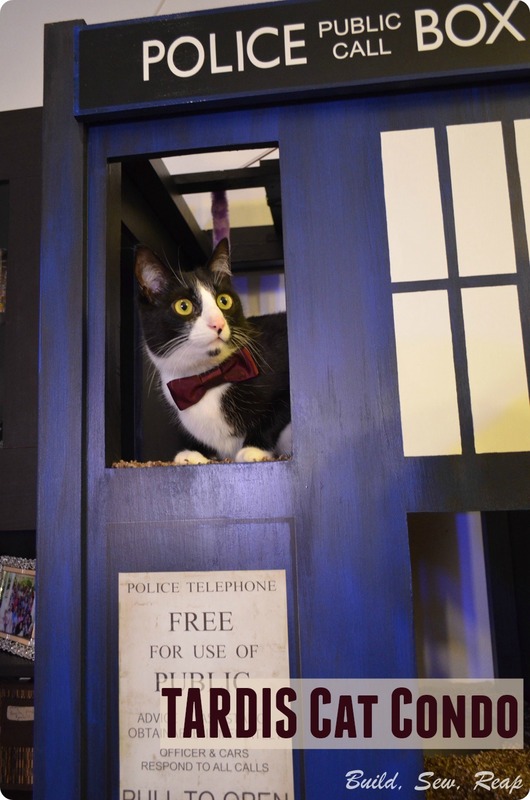 I've known Dani, kitten foster mom and Dr. Who fan, for a few years and we are friends on Facebook so when she posted a picture of a TARDIS cat condo, I couldn't help but comment that I could make one for her. Fast forward a few weeks and I got the call, well, text. 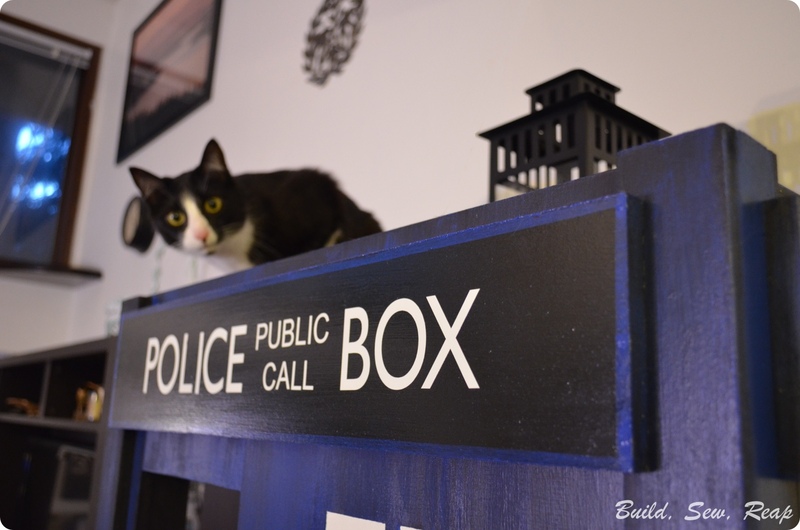 She wanted a cat condo that looked like a TARDIS. I agreed. *I also made their cat a bow tie. I didn't take a lot of pictures as I went along. I used ripped 2x4s for the structure then 2 full sheets of 1/2 inch MDF for the outside as well as trim. My guess is if you're desperate enough for this same piece, you can probably work out how to make one for yourself but feel free to contact me directly on email or Facebook with questions. Here are some other fun shots though. A special thanks to Caleb Richmond for his awesome photography. On average, a cat spends 2/3 of the day sleeping. Every cat considers its routine nap a must when it comes to its daily duties. 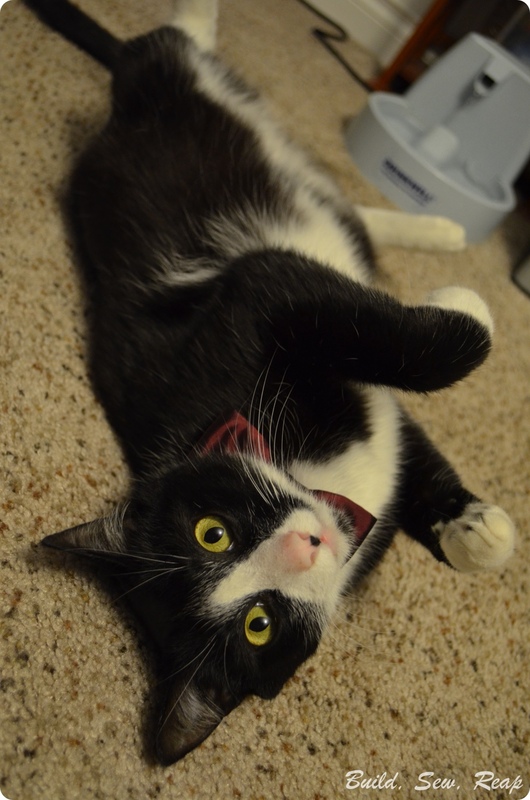 As the individual requirements for each playful feline are different, so are their cat bed preferences. Family Systems Theory explains relationships and group behavior in terms of anxiety, connectivity and emotional processes. Cats exemplify "Self-Differentiation" and draw us to them not because they obey us but because they do... sometimes. The reason most people find catandcats.com fascinating is because they innately understand the basics of Family Systems Theory and call us all to a higher emotional maturity.